Three things happened recently that led me to write this piece. This is difficult to talk about because I really care about these circumstances and outcomes. Otherwise, I would have just moved on. Writing often helps me to process what is going on in my head. Some of this is to extract meaning and determine any courses of action. But it is equally important because I've been told so often not to articulate what I’m feeling and I think it is important for others, who feel as I do, to know they are not alone. The first story I have to tell is the most personal. I found out by chance that my father and brother are seriously thinking of voting for a Republican this year. That may not be very impressive to any of you, but for my whole life each of them have voted consistently and voted for Democrats. I can't tell you all the things that may have led to this change, but I do have some ideas. They've been watching more and more Fox News as the years have gone on and their life circumstances have taken turns for the worse, making them even more willing to believe the rhetoric coming from the right. I’m not going to blame Fox or Republicans; that is ridiculous. They simply benefited from our failure to keep them as Democrats. We, as a party, pushed them away; neglected them; and they latched to the closest life raft they could. We failed to give them relief. We failed to give them hope. We failed to give them a glimpse of a future they could see themselves a part of; and so we lost them. We’ve allowed people outside the Democratic Party, and the Oligarchs, aligned both with and against us, to define who we are and how things will get done. And that has to stop. We have to stop blaming everyone else and take a close look at our own failings and inadequacies; and fix them. If we don’t, we will continue to loose support from our voters. The second thing that led me to write this piece is less of an event, it is more of a progression. Now that I'm a Democratic town chair, and now that I have been on the county committee more than once, I've had the chance to attend and observe yearly events through a different lens. Different people sit in the positions and even with some good changes, I still have had far too many negative experiences, but the negative experiences I have pale in comparison to what I see happening to others within the party. Most are being fostered by the Democratic Party establishment. Many of those negative experiences never needed to happen, and we lost good people because of those experiences. Many people became discouraged just from seeing those events unfold. I joke about how it is pretty funny that I'm often the youngest person in a room, but the truth is, it isn't funny. It's a warning sign. There are lots of warning signs. It is obvious that we need to change, but the Democratic Party is an ancient beast; and it doesn’t like change at all. Stronger, more important, people than I have relayed these feelings through the proper channels, but they go completely unheeded. The last has to do with voting. Some people in the Democratic Party regularly debase the responsibility we have as voters. I see it all the time online. They reduce it to numbers and obscure strategy and unfortunately that doesn’t inspire anyone or persuade anyone to vote. In fact it makes voting look like an edict and a chore instead of a choice and a fulfilling duty. We should be making it feel important, something for everyone to take pride in. It is one of the most transformative things I do each year, along with serving on boards, going to town meetings, and writing and calling elected officials. Presenting people with the lesser of two evils does not make voters, it makes voters apathetic. Each year, Democrats get directives from above. This year was no different. They always echo the same things. "Think of the party first. No dissent. No truths, we don't present ourselves." I'm not sorry to say that this is simply wrong. All three will lead us to worse places and further the distance we must navigate to get back to the path we should be on. Winning elections and raising money have become more than an obsession; it has become an addiction which drains the party and all of its’ time and resources, on all levels, no matter what the short or long term cost is. We have been borrowing against our future to feed this addiction; eventually our dealer is going to cut us off or we will die from complications of the addiction. If we don’t want that to happen we have to take the hardest step, that is to recognize that we have problems. I’ve compiled a list of observations and recommendations. Things I think Democrats can work on. Things I think we can change. They aren’t fresh or new, but they ring true to me from where I sit and I think all would strengthen and empower us immeasurably. 1. Define who we are and define where we want to go. Make that definition clear. Figure out the pragmatic goals we can easily accomplish, but don’t stop there. Dream. Dream big and don’t just talk about it in inner circles and closed meetings. Share. Sharing is the most crucial part. Leave room for those ideas and dreams to grow. Letting another party define who we are limits us. Break that cycle. Above all else stop mirroring the GOP. They are a party based on fear, sustained by lies and deception. Why would we ever seek to emulate those behaviors? Stop deflecting by pointing fingers at the GOP. We can’t change them, but we can change ourselves. People in glass houses shouldn’t throw stones and Democrats live in a giant greenhouse. 2. Now that we know what we want to be, change the way we connect. This is not the 19t century. This is not the20th century. Time to bring forth media and sharing structures that work in the 21st century. Digital and social media have to be a central focus not an afterthought or parlor trick that you spend an hour on. We have to be where people are, where the young people are. We have to get used to connecting in these new ways. We have to get used to sharing. 3. If there is anything we can learn from the Sanders campaign it is that you don’t need establishment or Super PACS to raise cash. What you need are good ideas that resonate with the average person, and clear messages. Change our fundraising dynamic. Drop the Super PACS, drop the Oligarchs. The sooner we do, the sooner we can build a future for ourselves instead of a world conceived for the most affluent around us. 4. Stop obsessing on winning all the time. At the rate we “win” we’d be better off using a coin toss. Start looking for people we can build with and people we can bring into the party to help transform it. Invest in the bottom of our structure and prune the top. That will breed innovation our party needs to transform. Leave behind egoists, information brokers, and people who don’t want the future our party exemplifies in our platform. It might take a decade or more but we could go from being a party that sells itself to the highest bidder to one that forges a path from the ideas of the masses. 5. Stop officials and elected party members from favoring campaigns or shutting others out. We are told to be non-biased, yet I’ve see this violated so many times it isn’t funny at all. It may not always be the intention, it may not always be grossly negligent, but in the end certain campaigns do get favored and others get shut out. Endorsements. Just stop. At its worst it is a very thinly veiled form of bullying; and the rest of the time, it just looks like we are all in high school again. 6. Change our votebuilder software. It is clunky and unsecure; the data is consistently outdated. And exactly why is it gated? On numerous occasions, during elections, I know of towns requesting information via their software and those requests are ignored. Ignored. Even after follow-up. I know I always appreciate being ignored and not getting information I need. 7. Listen and act on the advice of the young, immigrants, women, LGBTQIA, people of color, Latinos/as, native peoples. They are the groups in our society that have overcome the most adversity and taken limits and turned them into unifying rally cries and spontaneous opportunities that transformed entire portions of our society. Don’t fear them for their rowdy, unconventional, ever-changing behavior. Learn to embrace it. They have fire in their souls and that power can push back almost anything in the natural world. We need them in as many positions in the party as we can. They are our future. 8. If you are going to bother making rules, stick to them. If you are going to bother make a platform, stick to it. Make each process as transparent as you can and make it as easy to participate as you can. Stop locking things down. That fosters elitism and stirs up apathy. This century is all about collaboration and the sharing of ideas. We all benefit from our collective intelligence. 9. 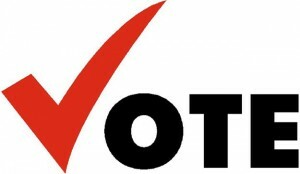 Support a National Voting Day holiday, and make it a priority. Make it happen. Everyone has a holiday -except essential personnel. Get people registered and help them become informed. If you want a governing structure of the people you have to provide the opportunity for that to happen. 10. For the people who would decry this as hippy- dippy esoteric nonsense, I’ll leave you with this. If you don’t think we could do these things or change the Democratic Party this much, with all the wonderful people and the wealth of resources and talent we have, why should anyone ever believe we would be fit to run an entire nation, or make decisions about the world? If we can’t change something like the Democratic Party, what should make anyone believe that same party could give our nation a better future? The implication, by default, is that we cannot or that we do not want these changes. And that is why we are in this horrible position in the first place. It’s an awful place to be centered. I will live through several more Republican presidents and several more Democratic presidents. I may live long enough to see a viable third party emerge. I will see Congress change dozens of times and my local legislature will change more often. I will see the high court change not just one more time but probably twice. Every election I take part in is important, every vote I make is important, but make no mistake that is not equivocal to meaning winning elections is important. Losing has merits. It allows you time to assess and to reflect. It allows you time to renew. It allows you the opportunity to find new allies and redirect attention. Keeping an organization focused on perpetual winning dooms it to failure. It deprives it of a future because you are always focused on the present win, never looking forward and eventually you are going to lose. Anyone that thrives learns to live beyond the wins, they learn to adapt from losses. I've never had the privilege of having someone in public office who completely matches my ideological perspective. A few have come incredibly close. A few have tried and lost. For me, no matter who wins an election, the work afterward is much the same. If a Republican wins the national election all my efforts go toward fighting the severe ideological shift toward the right. If a traditional Democrat wins the national election half of my efforts go toward fighting for the things that help our people, that help our world, keeping them where they are, and the other half of my efforts go toward keeping that person from shifting toward the right. If someone truly revolutionary gets the office, I will spend all of my time transforming everything we are. All require my full attention and effort. All are prone to setbacks and failure. I try to center my activities on what I can do, how can I help, fix things I can fix; but I don't let go of the things I most wish were true. That keeps me inspired. I've never taken voting for granted and though I've made a few mistakes in those I chose to support, I've tried to learn lessons from those mistakes. I don't listen to polls; they are generally designed for specific reasons, or paid for by very specific groups, with very specific interests. I don't pay much attention to where candidates are in comparisons, because there are few people I would trust to make a comparison of value. I don't listen very much to what politicians say during campaigns. I pay much more attention to what they do in offices they hold and how they vote while in office. I pay attention to how they live their lives. Look at who they surround themselves with. People don't change much at all beyond their twenties. If their statements don't match their lives or previous votes or what they did in office, they are probably lying. At best they are hedging. I wish it wasn't so, but it is advice from my youth that has served me well for two decades. I also don't vote for people who I don't want in a position. Most of the time I do this in local elections where choices can be very limited, but I have never ruled out applying it further up the ticket as I have grown older and acquired more information about our political landscape. As I said before, I've regretted votes, but I've never regretted not voting for a specific person because I didn't want them in that position or because I didn’t think they were qualified. There were reasons I didn't think they were worthy. You are supposed to be electing a leader, not a place holder. Imminent doom is a voting mind trick that doesn’t work on me anymore. It is a false narrative both parties use to elicit fear based action and to direct people toward predictable, controlled behavior. Don’t fall for this. It’s the worst trap to get caught up in. So where do we go from here? Well, some of us will stay in the system and work on our problems from within. Stan and others I trust have convinced me to concentrate my efforts within the system, so for now that is where my efforts will go. Others who were never a part or left at some point have the daunting task of building and contributing from outside the system. I imagine you'll continue, perhaps with greater success than me. I may re-join you some day. To everyone I simply ask that you vote. Be involved. Don't throw that gift away. So many people in our world don't have that right. So many people don’t have the opportunity to use it. Share this content as you like. Do not re-publish, in whole or in part, without the written approval of the author Kyle Leach.